Bear Hugs program was added in 1997. 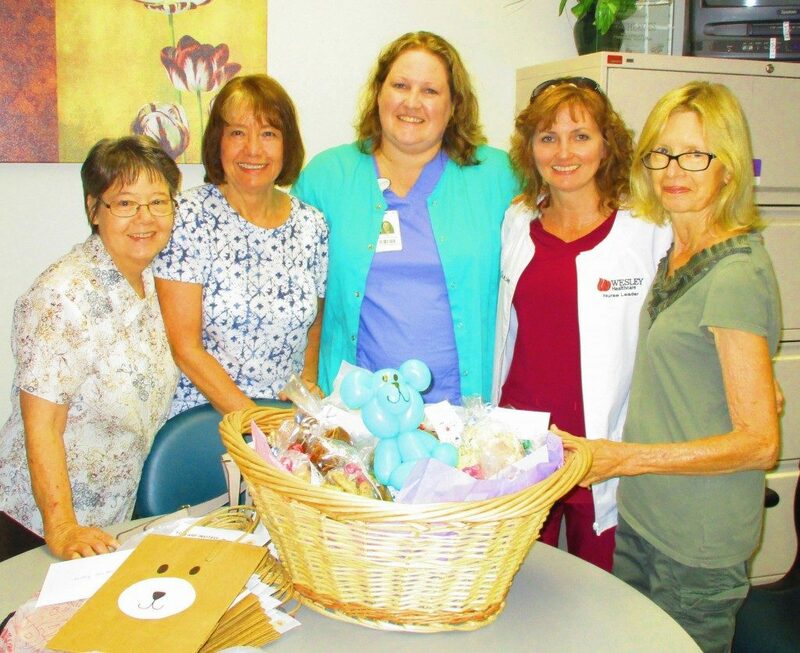 This program is a partnership with local hospitals. The Sexual Assault Nurse Examiner (SANE) or Sexual Assault Response Team (SART) identifies families and children in need. 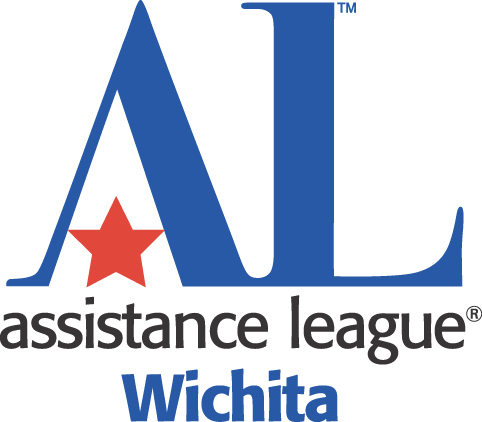 Assistance League of Wichita provides bears for the examination process and in recovery. We have also provide notebooks and totes to help journal the recovery and therapy process. The needs of these most vulnerable victims have grown since our program has started. 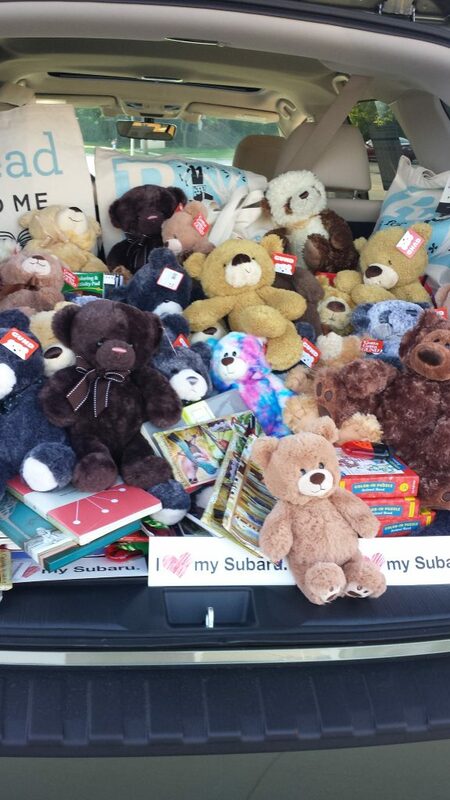 We have provided over 3,000 bears since inception. 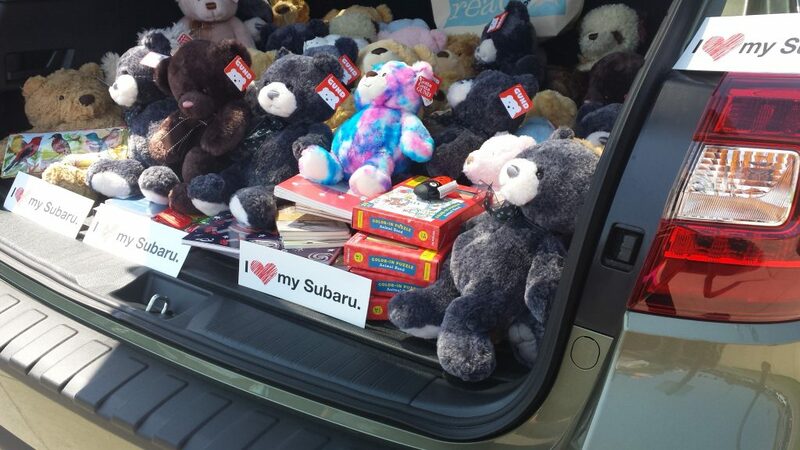 In 2016, we provided over 300 bears and notebooks. 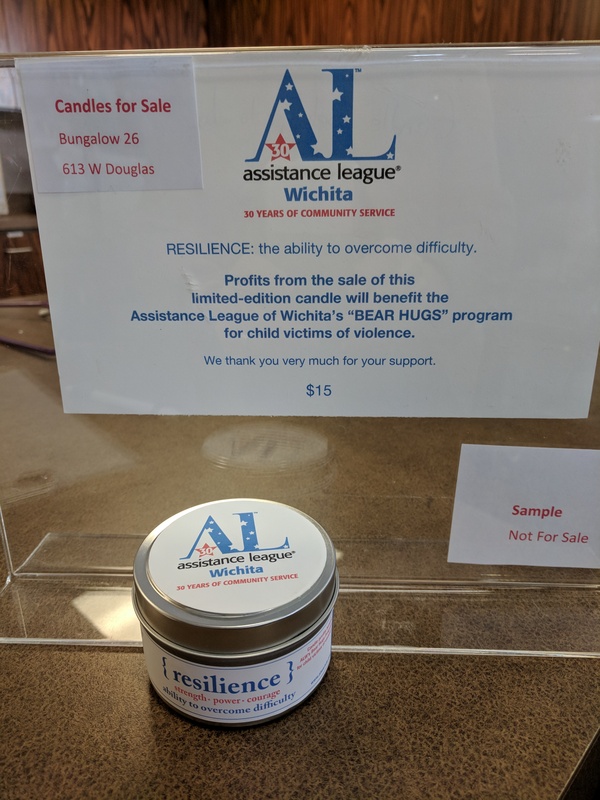 We have had some special events to support this program. 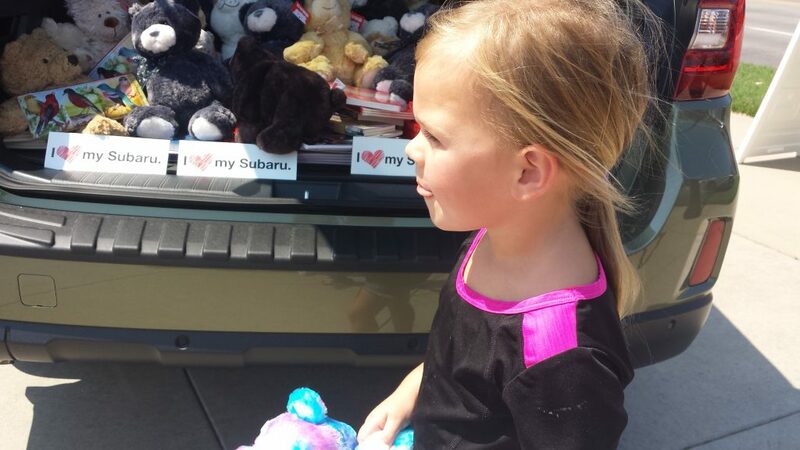 Including “Stuff the Subaru” in partnership with Watermark Books and Subaru of Wichita. For the last several years, Women in Banking have supported us with Bear Collection. Many special partners help us provide journals and tote bags to go home with these fragile young victims,including Susan’s Florals and Watermark Books. Our Thrift shop is part of the local Douglas Design District and we have been extending our relationship with area artists. This year a special local artist designed a candle called “Resilence” to support our program. It was sold at “Bungalow 26”. 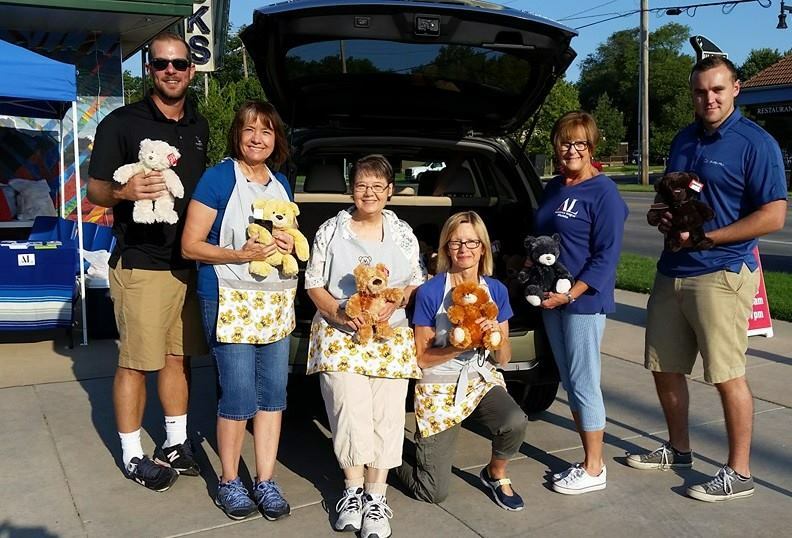 Local supporters for Bear Hugs include member volunteers and many from the community.